Regenerative grazing requires a large amount of time and planning. 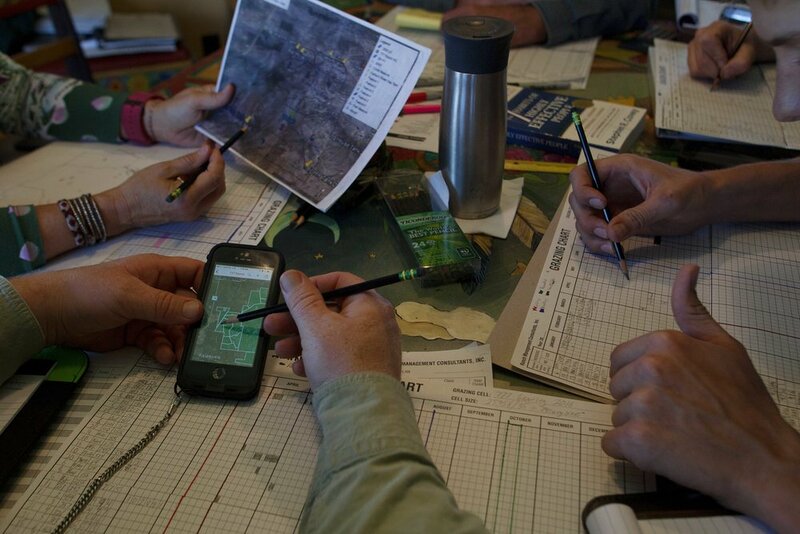 Here, the team reviews satellite imagery corresponding with Pasture Maps in order to map out a proper grazing plan for the herd. 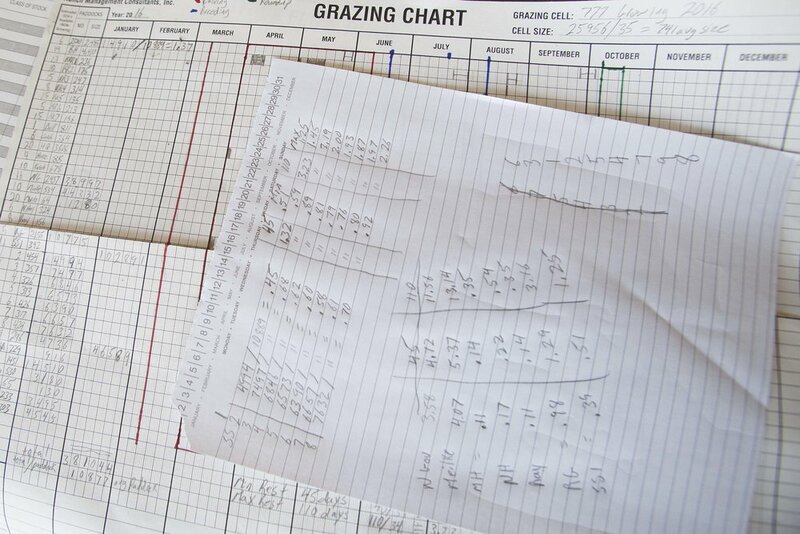 Ranch Foreman, Justin Selke, plots out the month of May for the bison grazing pattern. A timetable along with math problems is a key part in the Holistic/Regenerative grazing process. Kirk Gadzia, of Resource Management Services, shows the team a healthy mixture of soil on the 777 Bison Ranch. 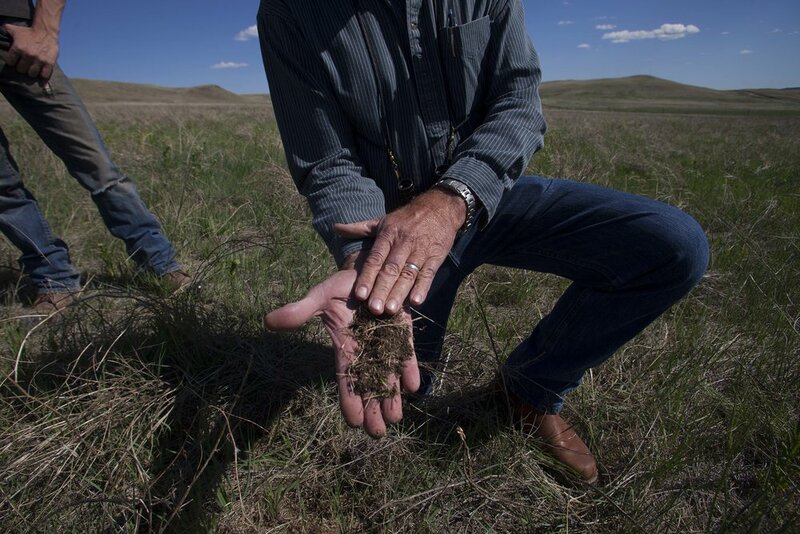 Kirk Gadzia, of Resource Management Services, displays a healthy mixture of soil on the 777 Bison Ranch, due to the Regenerative Grazing technique. A fence line divides pasture that has been grazed and is ready to rest, left, versus, a pasture which has had ample time to rest, regenerate and regrow, right, due to the 777 Bison Ranch practicing Regenerative Grazing.